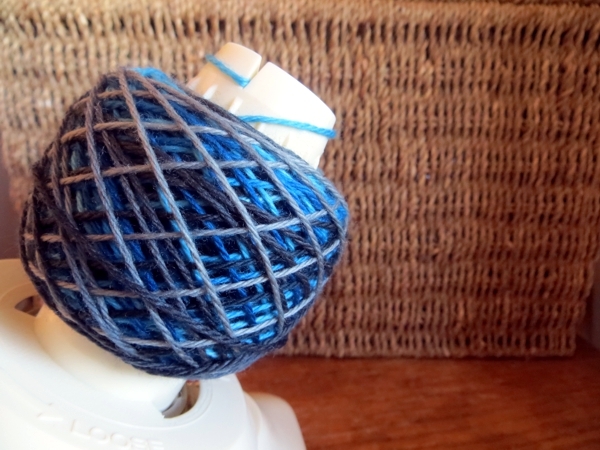 Today is all about the dangerously blue yarn that I left sitting at the top of a basket of skeins I thought I might get to before October. It looks so innocent and squeezable, doesn't it? But don't be fooled. The basket was sitting in the living room for a long time, and then I thought it might be a good idea to tidy up, so I moved it to the room where my desk is. Because yes, the basement room where I usually keep my yarn is still out of commission until it is totally flood proof and re-floored which should happen before June is very old but doesn't help me right now. 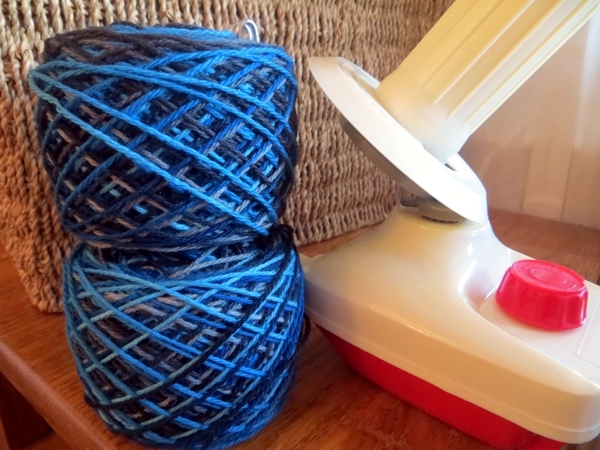 Since I go back and forth from my desk a few dozen times a day, you can imagine how much I was seeing the dangerous blue yarn. After a little while I thought: I really want to cake that stuff and knit it. 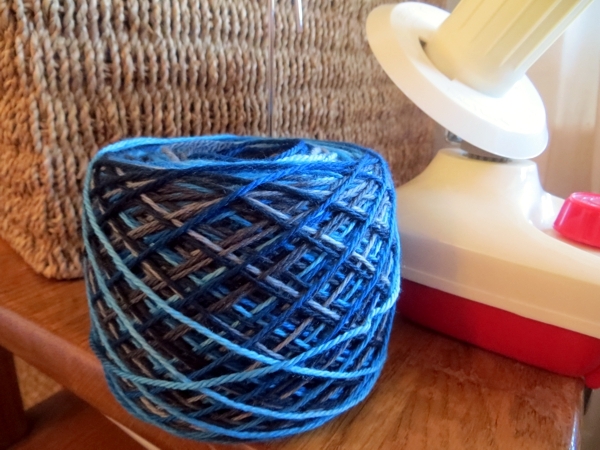 But since it was total chaos here with packing, writing, and knitting a ton of travel socks on top of the usual round of daily delights, I knew there wasn't any time for that job at all. 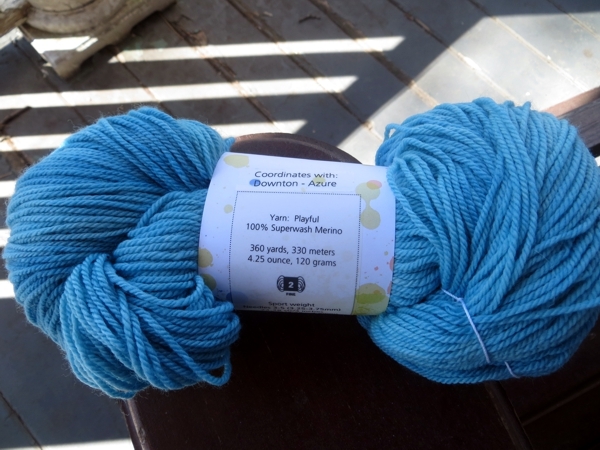 So I mostly ignored the yarn, and somehow it seemed to get bigger and bigger until it was all I could see in my path every time I got up for another cup of tea. It's just... not a good idea to ignore yarn when it's doing that. and then I was good for a while. Until I got back from Boston, anyway. 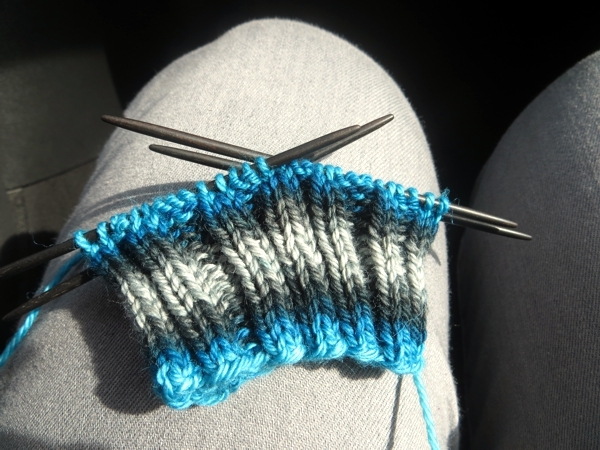 It's the Downton colourway from Twisted Fiber Art, getting knit up into a nice sensible man sock I won't need till the fall but: azure blue! I bet you wouldn't have resisted either. The needles are a departure for me: 4" glove needles recycled from piano keys. They are a little blunt and not super slick, and I love them. How they're going to cope with all the bonus stitches on a heel gusset is something I can't begin to guess though, because wow is 4" short. 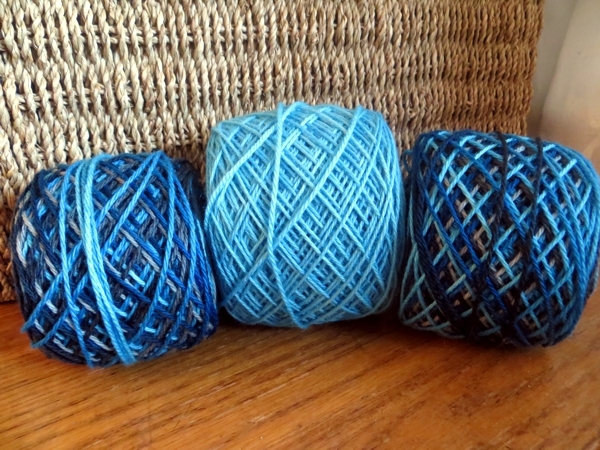 And now you know what I'm doing this weekend: audiobooks and blue stripies. What about you? Make it something fun, and I'll see you back here again on Monday!